[Check out the shocking statistics below! I recently got this message. This is apparently from an Australian Police Officer. Well none of these negative effects should surprise you! Listening to a (((Liberal))) is always a waste of time. Their "solutions” actually just destroy civilisation and whites. All their arguments are pure sophistry. It is bogus nonsense masquerading as logic. They’re liars, they’re scum. So I’m very, very sad to see Australians handing in a shocking 640,000 guns! This is terrible indeed. Whites in SA were also forced to hand in weapons some years ago, but it was a fraction of the above amount. Even so it was very bad. Whites EVERYWHERE … GET YOUR HANDS ON GUNS… GET AS MANY AS YOU CAN… KEEP THEM… NEVER GIVE THEM UP! Buy anything: Handguns, shotguns, rifles… all guns are excellent and useful. c) Lift up the criminal and communist scum. (((Liberal))) advice is VERY DANGEROUS! Look at some of these stats below from different countries. 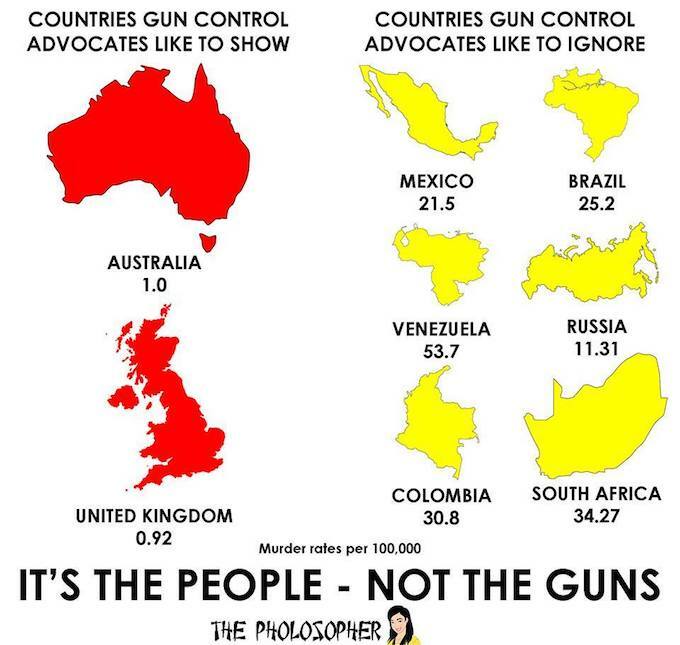 Guns are not the problem, the people are the problem! Here’s a thought to warm some of your hearts…. figures from Down Under. It has now been 12 months since gun owners in Australia were forced by a new law to surrender 640,381 personal firearms to be destroyed by our own government, a program costing Australia taxpayers more than $500 million dollars. Australian politicians are at a loss to explain how public safety has decreased, after such monumental effort and expense was expended in ‘successfully ridding Australian society of guns….’ You won’t see this on the American evening news or hear your governor or members of the State Assembly disseminating this information. The Australian experience speaks for itself. Guns in the hands of honest citizens save lives and property and, yes, gun-control laws affect only the law-abiding citizens. Take note Americans, before it’s too late! 2 Excellent Memes: The Hideous Jewish Talmud & Anti-Semitism is a sign of INTELLIGENCE!